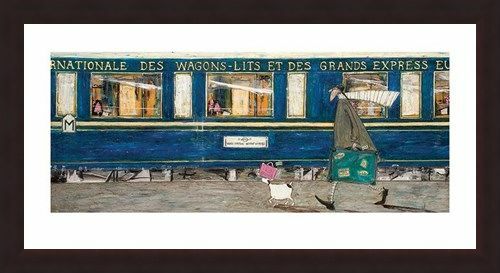 Art Print: All aboard the Grand Express! British artist Sam Toft is known for her beautiful art pieces that capture everyday scenes in an extraordinary way. 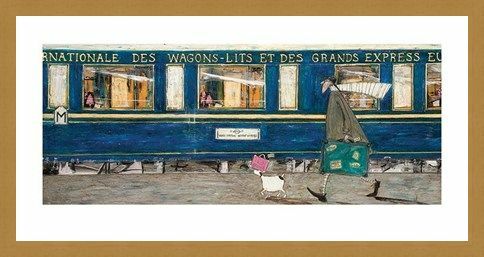 This print depicts a blue train in the background whilst Mr Mustard and Doris the dog walk along the platform holding suitcases. Mr Mustard's grey coat and scarf are blowing in the wind, whilst the sturdy royal blue of the train looks magnificent and produces a sense of grandeur and class. 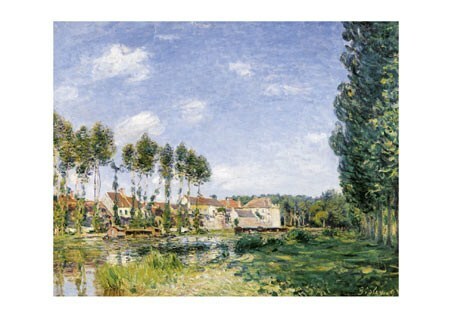 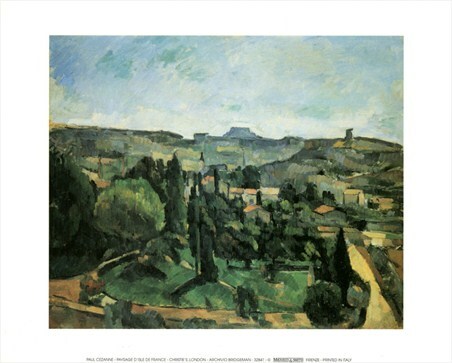 If your home is looking for some first class art, then look no further! High quality, framed Orient Express Ooh La La, Sam Toft print with a bespoke frame by our custom framing service.